NOW Vitamin D-3 softgels supply this key vitamin in a highly-absorbable liquid softgel form. 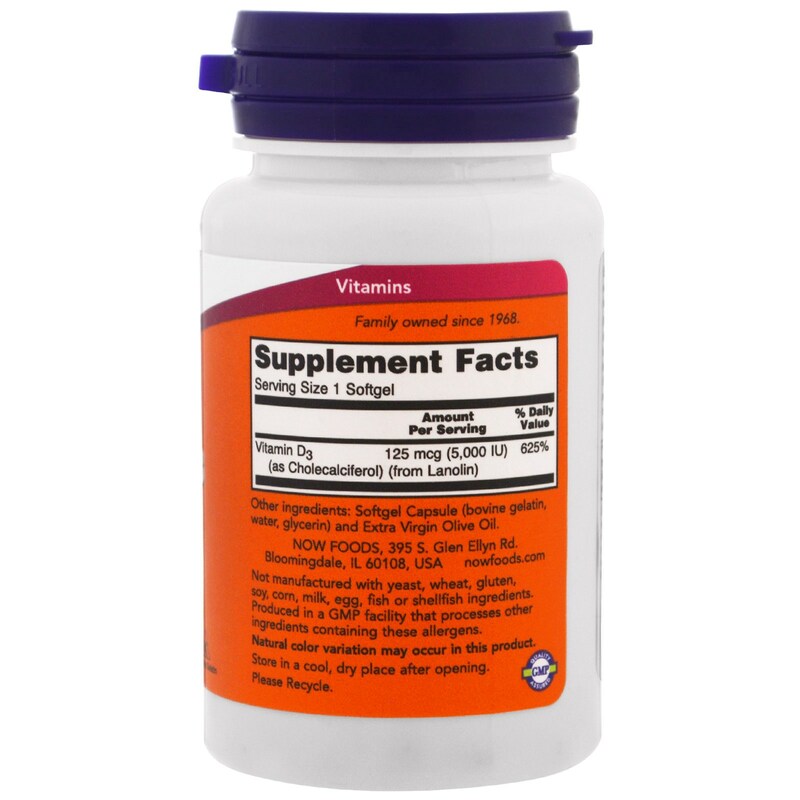 Vitamin D is normally obtained from the diet or produced by the skin from the ultraviolet energy of the sun. However, is it not abundant in food. 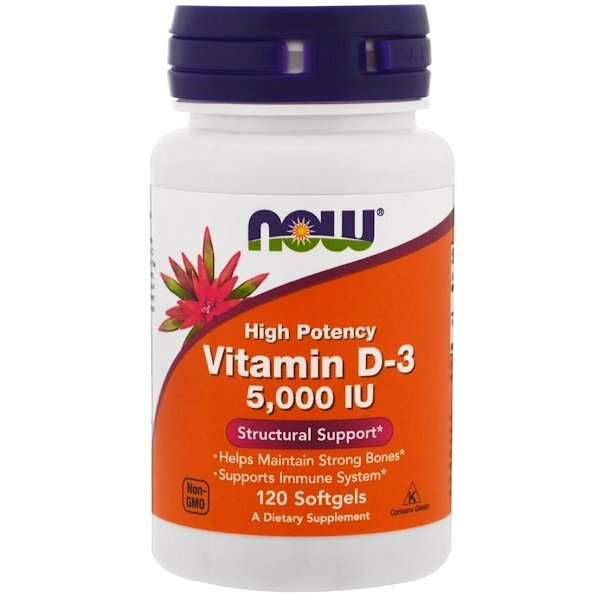 As more people avoid sun exposure, Vitamin D supplementation becomes even more necessary to ensure that your body receives and adequate supply. 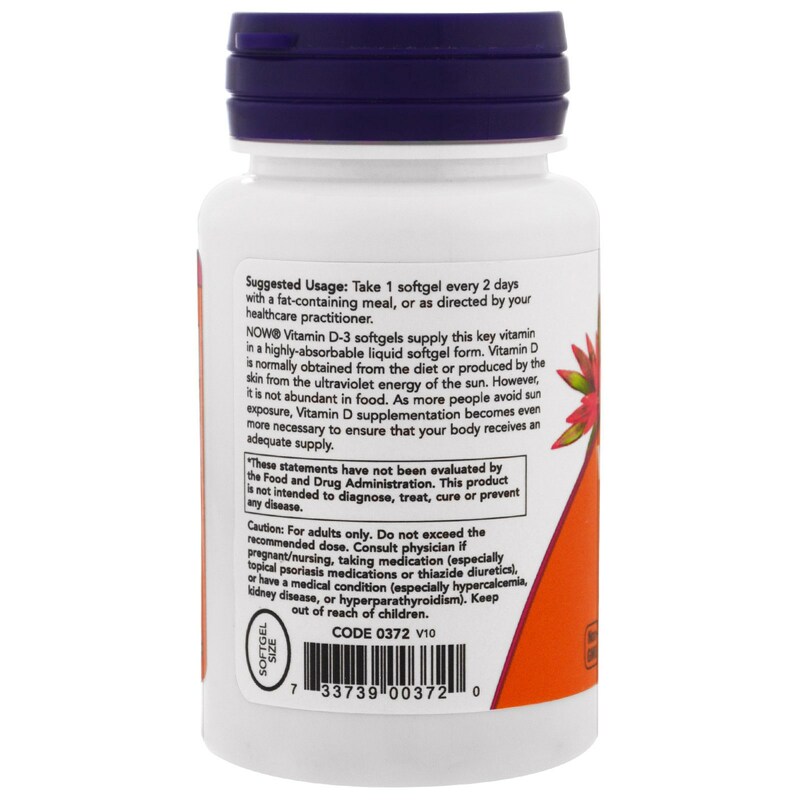 Take 1 softgel every 2 days with a fat-containing meal, or as directed by your healthcare practitioner. Not manufactured with yeast, wheat, gluten, soy, corn, milk, egg, fish or shellfish ingredients. Produced in a GMP facility that processes other ingredients containing this allergens. Caution: For adults only. Do not exceed the recommended dose. Consult physician if pregnant/nursing, taking medications (especially topical psoriasis medications or thiazide diuretics), or have a medical condition (especially hypercalcemia, kidney disease, or hyperparathyroidism). Keep out of reach of children.